Comedian Andy Gross (inset) made sexually explicit jokes at a female student then made her touch his thigh on stage. 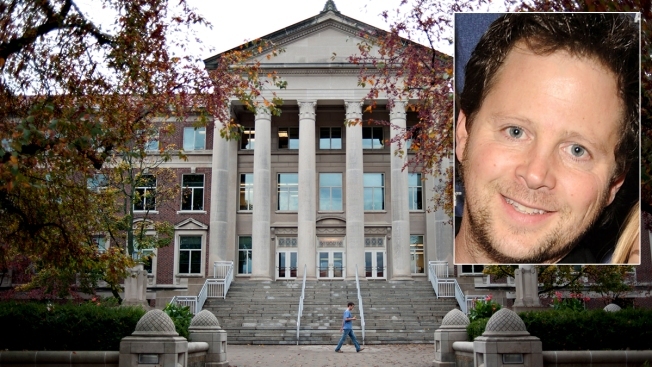 Comedian Andy Gross is apologizing after a performance at Indiana's Purdue University angered some students and led school officials to call parts of his act "inappropriate." A representative for Los Angeles-based comedian and ventriloquist says Gross is "profoundly sorry" and regrets causing any offense or discomfort. Spokeswoman Rebecca Kaufman says Gross will no longer perform on college campuses. School officials say accounts differ as to what exactly happened, but that parts of the performance were contrary to the university's values.